On january 27, 2019, Erika Ferrari (my dance partner) and me we win Italian absolute championships of wheelchair dance in Rimini (Italy), in the Combi over 13 category, class WDS1, Freestyle discipline. Look attested FIDS CLICK HERE. 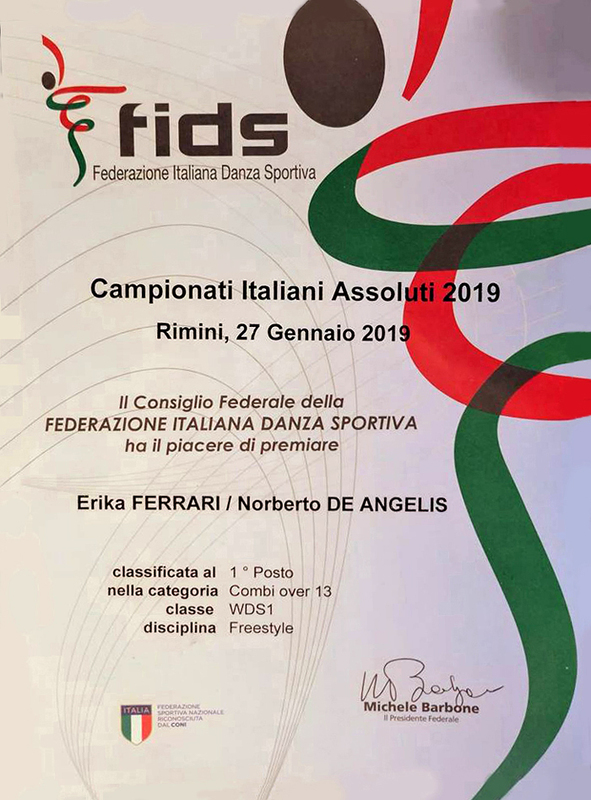 On february 23, 2019, Erika Ferrari and me we win another Italian regional championships FIDS of wheelchair dance freestyle in Budrio (Italy), for a international ranking.